A commitment to quality. At Monaghan Mechanical we take pride in every job we do and take pride in delivering quality products and service. Delivering passionate service day-in and day-out. At Monaghan Mechanical we don’t know any other way to work. 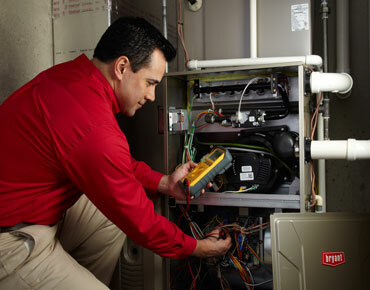 Call us for your HVAC needs. 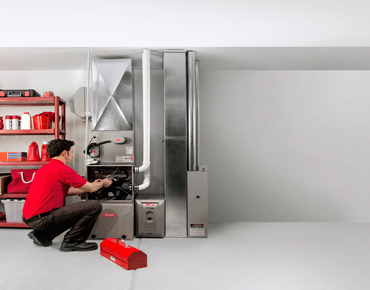 Experience superior comfort and consistent temperature with a Bryant Evolution gas furnace or heat pump. Variable-speed technology quietly ramps up your heating system to the speed necessary to maintain your desired level of comfort. This consistent, slower operation means your system doesn't have to work as hard a majority of the time. 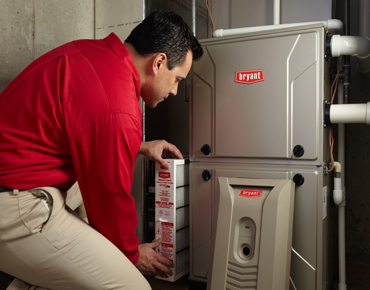 For quiet efficiency, count on an Evolution gas furnace or heat pump from Bryant to keep your family comfortable through any temperature swing. We’ve got a full line up of efficient, energy-saving home cooling system options that can help you save money when things heat up. You can trust that our work is done right, and our line of air conditioners is backed by Bryant, meaning you can make your home a hot spot for spending time this summer while keeping your family cool and your wallet full. We service ALL BRANDS of equipment. When you call Monaghan Mechanical, you can rest assured knowing that you are getting factory trained, NATE certified technicians that will quickly diagnose and repair your equipment. We ALWAYS give you UPFRONT PRICING, so you know exactly what a repair will cost, no matter how long it takes to perform. Call today and experience a "difference you can feel"! We spend at least one third of our lives sleeping and as such, indoor air quality has become more important than ever. From air purification to UV lights, ionizers, humidifiers or heat recovery ventilators, Monaghan Mechanical has you covered! Call today for a solution to your IAQ needs. Click below for our reviews!